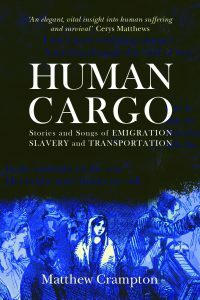 Join storyteller and folk singer Matthew Crampton for stories and songs from his book Human Cargo: Emigration, Slavery and Transportation. Find out more about the book here. Understanding today’s migrant crisis through story and song from the past. HUMAN CARGO explores the experiences of people who were trafficked or transported in the 18th and 19th centuries – linking their stories to those of migrants and slaves today. appear alongside testimony from modern victims of trafficking. Britain with the London Lubbers shanty group. His book HUMAN CARGO arose from these performances. defining disasters of our times.